Bedbugs thrive in environments that are warm and protected, which means that they often seek out homes in fabric items like bedding or clothes. It can be difficult to get rid of bedbugs once they’ve made residence in your home. One of the easiest ways that a homeowner can address a bedbug infestation is to use diatomaceous earth, a natural substance that is safe for homes with kids and/or pets, and can even be applied to areas where food is prepared. If you’ve ever owned a pool, you may be familiar with using diatomaceous earth that contains additional chemicals that can help keep your pool clean and safe. 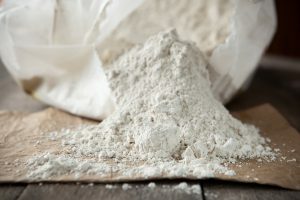 However, there are also a lot of other common uses for diatomaceous earth, especially when it is purchased in food-grade form. Diatomaceous earth is a kind of deposit that is created from fossils of an aquatic life form known as a diatom. It occurs naturally and looks like a soft white powder. It has a lot of common applications, working as a dietary health supplement for humans and pets, as a pesticide for a number of insects, and a way to remove odors and spills. Diatomaceous earth is fairly inexpensive and can be purchased in large quantities from certain pet supply stores and online vendors. When using it for something other than a pool, you’ll want to make sure that you purchase a form that is food-grade so that it doesn’t contain extra chemicals that you don’t need in your home. short window of time, usually just a couple of hours after application. Before you apply the diatomaceous earth, it is important to look for any means by which the bedbugs could have entered the home. Sealing up any cracks before treating can help you to avoid future infestations. Next, you’ll want to use a steam cleaner to heat and disinfect all surfaces that you can, including your carpets, drapery, couch cushions, or any other item that contains fabric, but will not fit into a washing machine. You’ll also want to run anything that can fit in a washer and dryer through a very hot or very cold cycle. Once the wash is complete, dry everything with a high heat setting, as bedbugs cannot survive extreme temperatures. When your fabrics are completely dry, it is important to seal them to avoid any new bedbug from getting into them. Vacuum-sealed bags are a great way to do this. As your last step of preparation, you’ll want to thoroughly vacuum every area of your house. To treat most effectively, you’ll need to take apart your furniture, as well, and vacuum every surface. One of the places that bedbugs can hide is in the seams or the frames of furniture, so make sure to use an appropriate attachment that can fit into all areas where bedbugs may reside. Once you have identified the areas that you believe may be infested or could be a potential future site of infestation, apply diatomaceous earth to these areas, paying special attention to crevices, sills, seams, the interior section of drawers, and any other problem areas. The easiest way to apply the diatomaceous earth is to use a special applicator that is available from a number of vendors. For the most effective treatment, unscrew any outlet covers and apply diatomaceous earth behind the plates and also apply it liberally to any furniture, all of the bedding in your home, and any rugs or carpets. Pest control experts recommend that homeowners that use diatomaceous earth to treat or prevent infestations of bedbugs let it sit on the surfaces where it is applied for about a week. When you are ready to remove the diatomaceous earth, you may want to use a non-filtered vacuum, as the earth can be tough on a traditional vacuum motor. The cycle of treatment may need to take place more than once to fully remove all bedbugs from the home. While it can be labor-intensive to remove bedbugs from a home, using diatomaceous earth is fairly straightforward and simple and is an affordable option for most homeowners. We have progressed through a stream of treatments for these nasty little critters. It has been obsessive and desperate. Trying not to empty all of my cupboards, linen and clothes, would a barrier line of DE contain any movement of bugs and break the cycle ? If they come in contact with DE, it would eventually kill them. Thank you for your sentiments, Stacee. I can understand the frustration. DDT seemingly worked well on bedbugs so it’s appalling that it was banned. However, there were health concerns associated with DDT according to research, so maybe the government was considering health first? I would not wish this on my worst enemy. I would not either. Definitely, a horrendous thing to experience. Where I am at the moment their encounters are few, so I worry less about taking them home, even though my guard is erect! Again that was amazing information. 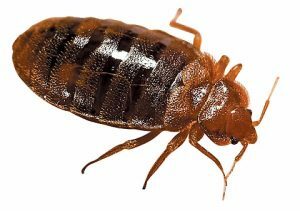 I had very bad experience with bed bugs and spent sleepless nights. Such a detailed information. And yes when wed had hit by bad bugs we heated them out with steam cleaner before calling pest control expert. And it actually worked. Hahah. Your comment is funny. You called them “bad bug”. They are indeed terrible to contend with. Great Stuff Samantha, Keep Sharing these type of information. I just got to know that my pool cleaner also can do other things haha. Yes, most definitely. You can use DE to lessen a bedbug infestation. Of note, you may have to follow up with additional methods as well, especially if you’re DIY.